The widespread deployment of millions of current and emerging software applications has placed software economic studies among the most critical of any form of business analysis. Unfortunately, a lack of an integrated suite of metrics makes software economic analysis extremely difficult. 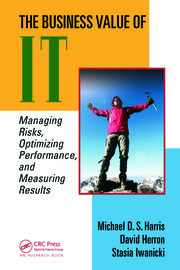 Edited by IFPUG's Management and Reporting Committee, the text is useful for IT project managers, process improvement specialists, measurement professionals, and business professionals who need to interact with IT professionals and participate in IT decision-making. It includes coverage of cloud computing, agile development, quantitative project management, process improvement, measurement as a tool in accountability, project ROI measurement, metrics for the CIO, value stream mapping, and benchmarking. 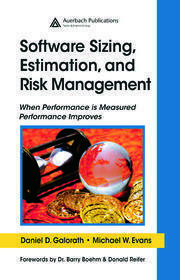 Agile Estimation Using Functional Metrics; Thomas M. Cagley Jr. Defects: Perspective on Prevalence and Prevention; Joseph R. Schofield, Jr. The International Function Point Users Group (IFPUG) is a nonprofit, member-governed organization. The mission of IFPUG is to be a recognized leader in promoting and encouraging the effective management of application software development and maintenance activities through the use of Function Point Analysis (FPA) and other software measurement techniques. IFPUG endorses FPA as its standard methodology for software functional sizing. In support of this, IFPUG maintains the Function Point Counting Practices Manual (CPM), the recognized industry standard for FPA. In order to complement the functional aspect of measuring software size, in 2011 the Assessment Practices Manual (APM) was released by IFPUG. The APM provides a quantifiable measure for the non-functional size of software development by means of documented guidance, definitions, and practices about non-functional software features and related sizing criteria. The chapter within this book titled "Software Non-functional Assessment Process (SNAP)" introduces the concept. Without statistical evidence, we cannot make claims of the use of best practices. We must measure, we must apply appropriate and useful metrics, we must collect and analyze what we measure, and we must learn from the results of that analysis. 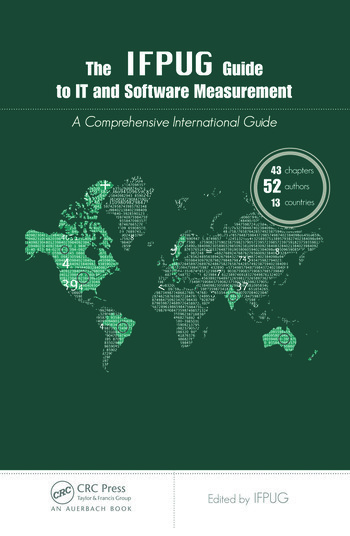 This book is an important contributor to the promotion and application of software measurement. When Allan Albrecht developed the idea of Function Points in the late 1970s, he probably did not envisage their use across the world thirty-plus years later. … the International Function Point Users Group (IFPUG), formed to administer and grow what he started, continues to find new ways to educate people about the importance and use of software measurement, metrics, and management. This book, IFPUG’s second, is a vital component in their education offensive. Although the themes running through the chapters in this book are measurement and metrics, the application of these themes is to the practical issues faced by project managers, CIOs, sales people, testers, QA personnel, outsourcers, bid evaluators, and IT managers. This volume should be a close-at-hand reference for all these people.